Preparations for winter have been continuing. November has been a beautiful month, with sharp frosts and blue skies creating some stunning autumn scenes all around the garden. The preparations for winter have been continuing in Stephanie’s Kitchen Garden throughout the months as we settle some of our crops in to snug protection to bring them through the cold months unscathed and ready to provide early produce. At the start of the month it was the turn of our peach and nectarine trees to be tucked up warm. These trees were planted two years ago and this year provided us with an amazing crop of fruits. They are grown as fan trees on a wired support and have winter covers that slot into the frame. The covers keep the worst of the winter cold and wet off the trees and protect them from peach tree leaf curl in the spring. They also provide a warm growing climate in the spring which helps provide a better crop later on in the year. Elsewhere around the garden we wrapped our olive tree pots in fleece to stop the frosts from freezing the roots. The trees are large and cannot be moved under cover, and we have found that wrapping them keeps the trees comfortable over the winter. The greenhouse has had its layer of insulation added and the heater is cutting in when temperatures drop. However, on sunny days we are still opening the greenhouse door to allow air to circulate. This will help prevent pests and diseases caused by humid conditions. Similarly, we are opening the lid of our cold frame during the day to stop our plants from overheating. The lid is closed mid-afternoon when temperatures drop. Now that the weather is colder, a woodfire is regularly lit in the house which means that we are lucky enough to enjoy a constant supply of woodash throughout the cold months of the year. We use this as a top dressing for all our fruits trees and bushes. The woodash contains nutrients such as potassium, magnesium and calcium and also helps to add alkalinity to the soil. We garden on very acid soil and find this beneficial. Any excess ash is added to our compost bins. If you are not lucky enough to have access to woodash, potash can be brought from garden centres and will do a similar job. Since the last of the berries were picked in early autumn, the fruit cage has largely been left to its own devices whilst we concentrated our efforts on keeping the rest of the garden tidy. This month, however, we spent several days inside the fruit cage giving the plants and the cage some care and maintenance. Our currant bushes were the first to be pruned. Their bare stems allow us to see the structure of the plant and this helps when pruning them into shape. The stems that fruited this year have been removed at the base and we also took out any weak or crossing stems. The aim was to end up with healthy stems in goblet shape with an open centre. This will allow air to circulate around the plant, keeping it healthy in the fruiting season. Fruit bushes are very easy to grow, and are very low maintenance. In return for a little care and attention now, they will reward us with a bumper crop in the summer. Next in line for a trim, were the strawberries. These were cut back to the crown of the plant, removing dead leaves and any runners that we had missed earlier. Our autumn raspberries have been pruned this month. This is early, as we would normally prune them in December/ January, however we had signs of raspberry beetle this year so we decided to remove all the top growth and dispose of it to prevent any grubs or beetles of the plant from heading to the soil to over winter. 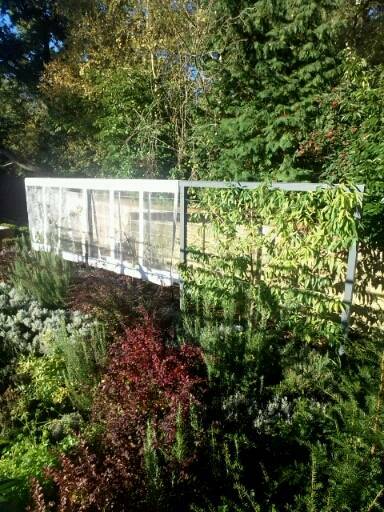 We have removed the roof of the fruit cage this week to allow birds to gain access to the plants and soil within. With the top growth of the raspberries removed, the bare soil will be regularly disturbed with a hoe over the winter months allowing the birds easy access to any grubs or beetles that may be present. Whilst keeping birds off your fruit is a priority in the summer, at this time of year they do an invaluable job of cleaning the soil so removing the roof netting is crucial to good housekeeping. Outside the fruit cage, our apple and pear trees have all but shed their leaves and are entering the dormant stage of the growing year. November is the perfect time to give them some care and attention to prepare them for a productive season next year. This month we have removed the old glue bands that were applied to the trees last spring and replaced them with new ones. 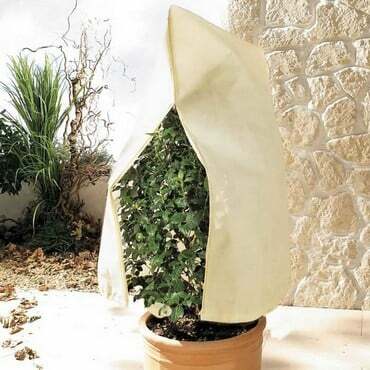 These will trap any pests that are in the soil and prevent them from climbing into any nooks and crannies amongst the branches where they could overwinter. When the last leaf has fallen from the apple trees, which are still clinging on to some of their foliage, we will apply a winter wash to them which will clean away and existing pests that are already in the tree. Despite the imminent onset of winter, we are still growing vegetables in Stephanie’s Kitchen Garden. Mid-month our overwintering broad bean plants were planted out alongside the onion, garlic, spring cabbage, broccoli and turnips. We sowed the beans a few weeks ago in rootrainers in the greenhouse, as sowing direct into the soil tends to result in well fed mice and very few plants! Once the beans plants were a good size, they were moved to the cold frame to harden off and are now ready for life outside. They will be given a fleece cover for the winter months to protect them from birds and the worst of the winter winds and cold. We will make another sowing in the spring and these will be planted next to their winter counterparts. The two sowings usually provide us with a longer cropping period. We still have broccoli, brussel sprouts, kale, beetroot, celeriac, parsnips, spinach and winter salad leaves that are cropping at the moment keeping the kitchen supplied with fresh organic vegetables, and this month we have been sowing carrots and peas in the greenhouse. Our greenhouse is insulated with bubble wrap and has a heater keeping it frost free. We already have rocket and spinach growing in the raised bed along the back wall. We will be sowing carrots into large pots which will hopefully crop over the coming months. Peas have been sown into rootrainers and we will harden them off in the cold frame once they have germinated, before planting them outside. All being well, we will enjoy an early crop whilst waiting for the spring sowings to grow on. Currently we have pots of winter salads growing on the staging in the greenhouse and in the coming weeks we will make further sowings to replace these plants when they have been eaten. In addition, we have moved potted herbs into the greenhouse this month. Mint, thyme and parsley pots have all been placed in the warmth to keep a supply of fresh herbs going throughout the winter for the kitchen. Having a heated greenhouse allows us to keep enjoying homegrown organic produce right throughout the whole year. And it’s also a lovely warm place to work when the weather is too bad to be outside. Clear leaves and plant debris to the leaf bins and compost bins. Complete and stock take of seeds and feeds before placing order for next year. Continue clearing leaves and debris from around the garden. 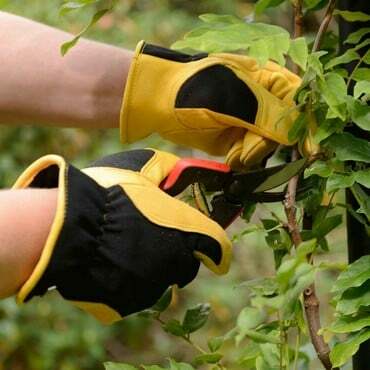 Apply winter wash to fruit trees. Harvest winter veg for the Christmas dinner table. We’re always here to offer help and support. Go to the Ask the Expert section on our website and email horticultural advisor Jo Blackwell with your queries and she’ll do her best to help. We’re busy tweeting about all things Harrod Horticultural – what we’re doing, special offers, gardening tips and advice and you can always use Twitter or Facebook to get in touch with us as well. With our webteam manning the Tweet desks and Facebook site, you can be sure you will get the best service we can offer. Our 108 page catalogue is out now and packed full of gardening ideas and products to solve the problems every gardener faces, plus plenty more seasonal ideas for harvesting, storage and preserving.